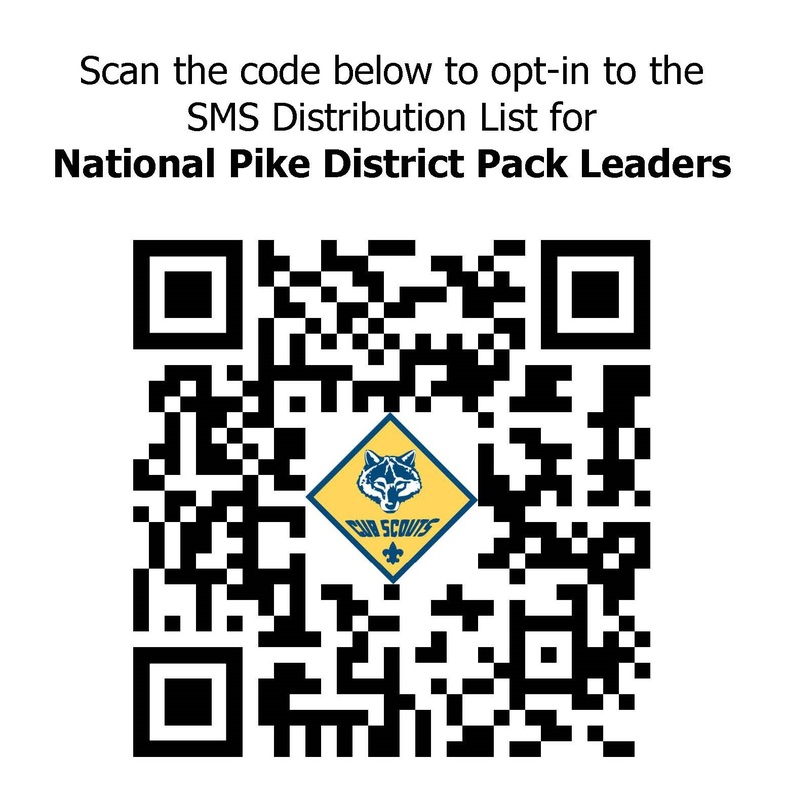 Click HERE to download the 2019 National Pike District Calendar! 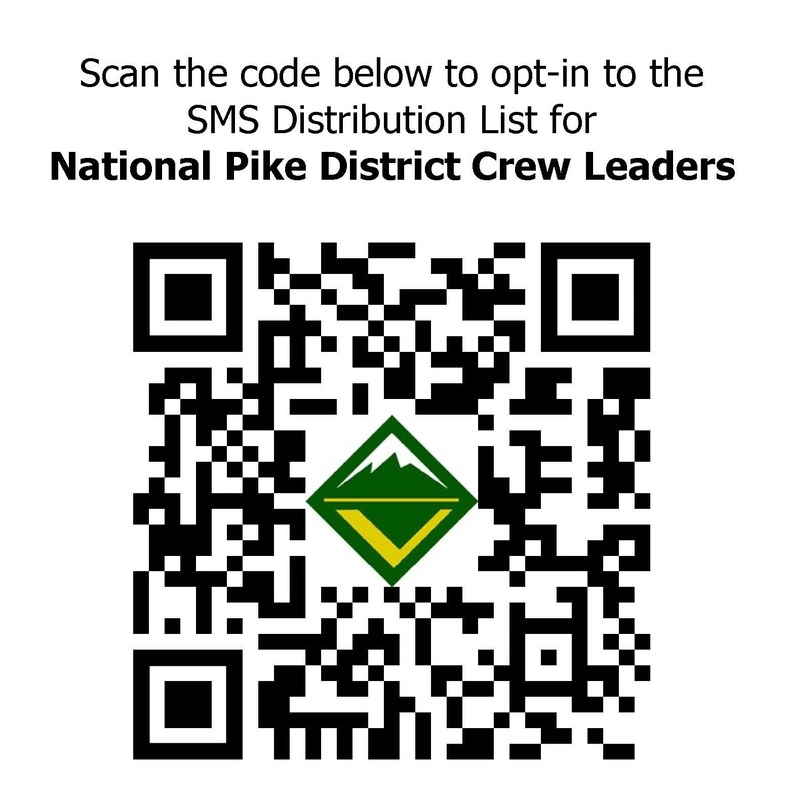 Sign-up for District SMS Information! All registered adults must have completed the updated course. If you still need to take the training, click here for more information. 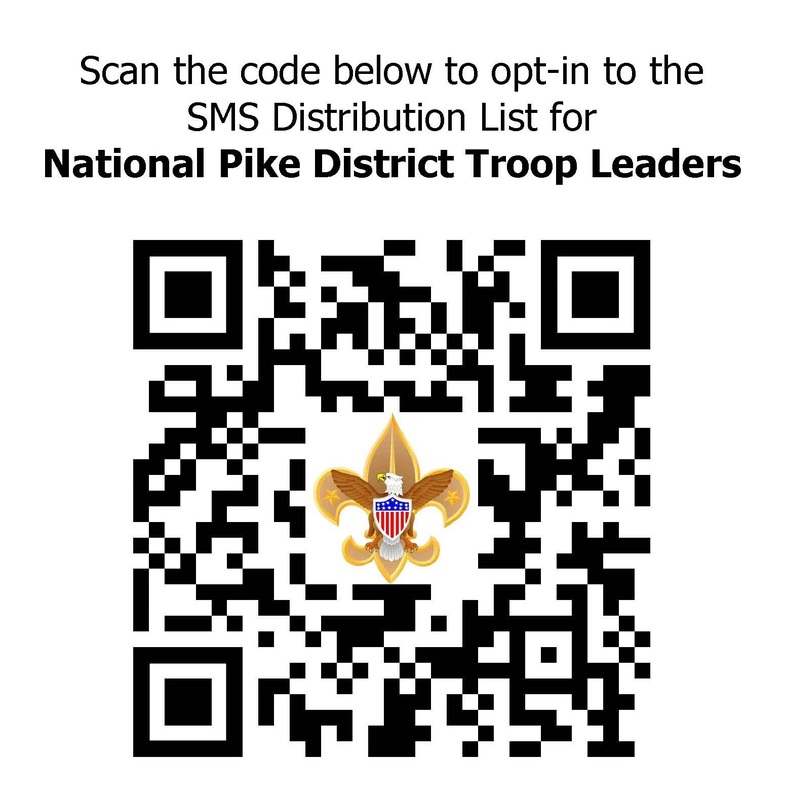 The National Pike District follows the Howard County Public School System policy for cancellations due to inclement weather. When HCPSS cancels after-school or evening events, the district's activities - including Roundtables and the OA Chapter Meeting - are also cancelled for that afternoon and/or evening. The safety of our Scouts and Scouters is our primary concern.